Built on the shores of the Niemen in the years before the first world war, designed from a project of architect Marconi. 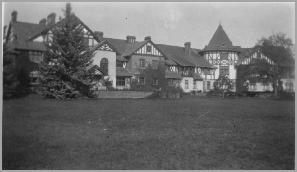 It was the residency of Prince Ludwik Czetwertynski and his wife, born Princess Rose Radziwill. 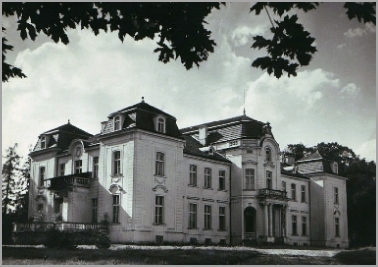 It was built next to an old residency from the 17th century, belonging to the Tysenhaus family, who were lords of Zoludek. When Ludwik Czetwertynski settled there, the estate counted 16.500 hectars. He developped important agro-industrial activities, such as a sawmill, a sugar factory and food processing. He installed an electrical plant and a hospital that served the neighbouring villages. The property was ransacked by the Russians and the Germans during the first and the second world wars. Starting in 1945 the castle was the headquarters of the Red Army's general staff based in Bielorussia. Abandonned when the U.S.S.R. was dismantled, the only remains of the castle are the walls and roofs. All the rest has been plundered. The land was transformed into kolkhozes. Despite the fall of communism, the previous owners were never compensated, and are still not even allowed to enter onto the grounds. 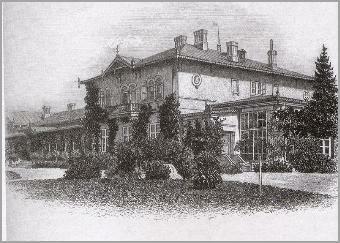 The Uruski Palace, that was later called the "Czetwertynski Palace"; at n°30 Krakowskie Przedmiescie (Cracow's suburb) in Warsaw, was the residency of Wlodzimierz Czetwertynski and his descendants, until 1940. Built around 1740 for Stanislas Poniatowski, father of Stanislas Auguste, future king of Poland. It was destroyed on the inside by the Wermacht after the crushing of the Warsaw uprising in 1944. 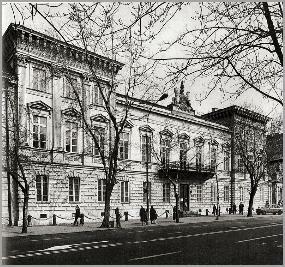 It was rebuilt between 1948 and 1951, and today harbours the Warsaw University Department of Geography. Milanow Castle. One of the properties of Prince Wlodzimierz and his wife born Countess Uruska, known for her large library, stolen by the german army during world war II. 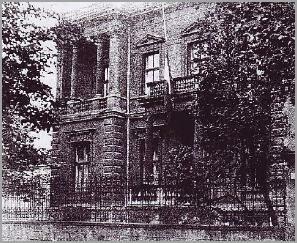 Townhouse of Princess Ludwik Swiatopolk-Czetwertynski, born Rose Radziwill on the "Aleje Ujazdowskie" avenue in Waszaw. This building housed German administrative services during the occupation. That is what saved it from being destroyed during the unrelenting bombing of the city by the Luftwaffe in retaliation for the 1944 Warsaw uprising. For ten years after the second World War, it was let to the Polish Radio. In 1956 the villa was sold by the communist government to the U.S Department of State in order to serve as Chancery of the American Embassy without any consideration for the legal expropriation procedures. Soon after that, the historic building was pulled down by its new owners to make room for a large "modern" structure that is still used today as the US Embassy.